We cover this topic in greater detail in Beyond The Brochure, but we thought we’d give a short summary of what happens behind the scenes during the admissions process. 1. Siblings. At most private elementary schools, siblings receive priority. They must go through the admissions process, but they generally will be accepted unless they are not the right fit for the school. 2. Legacies. If one or both parents attended the school as a child, they are given priority over other applicants. This is especially true if they have been generous in supporting the school financially and have been active in the school’s alumni organization. However, don’t forget that some newer school don’t have legacies because the first graduating class is still too young to have children. This is the case at the Willows, which just celebrated its 15th anniversary. 3. VIPs. This is a subjective group of applicants who will receive priority. If a family is very close to a member of the board, they will likely be special attention. If a family is close to one of the school’s big donors, they will probably be given a very close look, especially if the donor attests to their giving interests. Relatives of board members and big donors also fall into the VIP category. In each of these situations there will be a preference to find the family and applicant acceptable rather than the family needing to prove their worthiness to the school. 4. Gender balance. Each class must have approximately 50 percent boys and 50 percent girls. It’s easy to see why this is necessary. Imagine a class where there were 19 boys and 3 girls! 5. Ethnic Diversity. 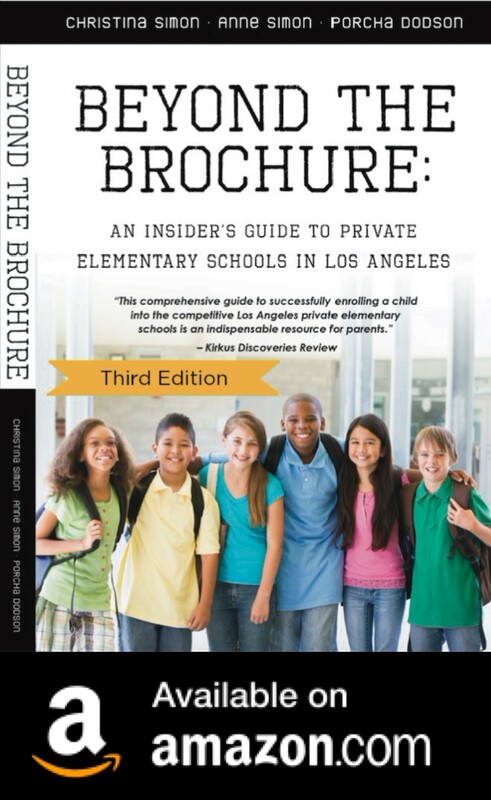 Many private elementary schools in LA strive to have a class that is ethnically diverse. Some schools do a much better job with this issue than others.That is partly due to geography. Schools in diverse areas have an easier time attracting diverse families.A school’s lack of diversity can also be attributed to the administration, the school’s educational philosophy and it’s lack of diversity (most diverse families seek diversity in a school so this becomes a vicious circle). You may also notice that some very traditional schools admit traditional two parent families. At some schools you won’t see many (if any) gay or lesbian parents, single parents, mixed-race or any non-traditional families. This probably has to do with the culture of the school and not necessarily an admissions practice. 6. Child’s Personality Types. Quiet, energetic, shy, outgoing, artistic, athletic, studious, bright, quirky, creative, kind, nurturing.Private schools try to build a class that has a mix of various types of kids, with different personality types. They also think about whether a group of kids will work well together as a class. Don’t forget, these kids will be together for at least K-6th grade! 7. The family. Private schools require families who can support the school financially beyond the tuition. They also need families who will volunteer their time. They need parents who have professional skills to offer the school. They look for families who may eventually serve on the board, a committee or run the parent association. They look for a track record of volunteering and charity work. 8. Celebrities. In LA, we can’t forget about celebrities. Certain schools seem to have lots of celebrity families. Others have few or none. Celebrity isn’t a guarantee for admission, but it will obviously help a family’s application to stand out. However, some schools are not equipped to handle big stars. A few years ago, when David Beckham and his wife were looking at private elementary schools in LA, a number of schools could not accommodate the security needs of his family and therefore were not interested in having the Beckham’s apply. Note: this category could move up in the order of things depending on the school or the celebrity. How schools select kids; admissions "rules"
Really interesting how this works. Great information, thanks. Private Elementary School Fashion Alert!